Ready, Set, Action! 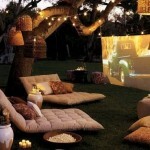 Host your very own Movie Night! Ready, Set, Action! 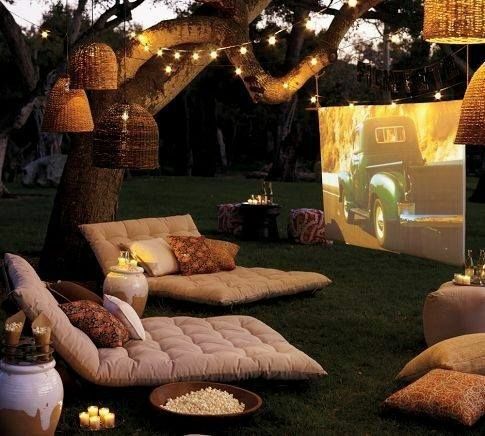 Show this month’s greatest flicks by hosting your very own movie night! Let your night be action packed with a thriller, full of laughs with a comedy, or even create sparks with a romance film. The number of movie genres is endless, and there is a film for everyone. Whether you just want a calm night in with some of your closest friends, or if you’re looking for a great way to entertain at your child’s next birthday party, you can never go wrong with a movie night! Roll out the red carpet and invite your guests to feel like a star as they enter your at home movie premiere! Everyone loves making the trip to the movies, but why not bring the joy of the movie theatre to your own home! Host your party under the stars and get that “drive in movie” feel, or transform your basement or family room into the cinema. One of the perks of going to the movie theatre, is no one is squinting their eyes or reaching for the strongest pair of glasses they can find to see the screen. Not to mention, with a screen that large, you really feel like you are in the movie! When rounding up the troops to watch a movie at home, your space may be limited, but we have a great solution! Set up one of our LCD projectors and our large projection screens to give your viewers the in theatre vibe! If you’re looking to take this creative idea and transform it into the perfect birthday bash for your child, there are endless ideas that will keep the kids talking. Invite friends and guests with custom invitations that look like movie tickets. Fill the invites with cute information such as the name of the movie, and most importantly, the birthday boy or girl being the star of the show! Include other typical movie ticket information such as the show date and show time, as well as the theatre number (your address!) Don’t forget “Admit One” at the top of the invite, you’ll have guests feeling like a VIP! Parents out there, don’t forget, movie night birthday parties may take some of the weight off your shoulders since the kids will be entertained for a majority of the night! Whenever watching a movie, popcorn is something viewers can’t go without. The movie theatre’s lingering smell of fresh popped buttery goodness makes you crave a snack, and it wouldn’t be a movie without it! Popcorn is a treat that you can get creative with. Not only can you have it plain, but you can top it with a variety of tasty toppings to give it any flavor you would like. 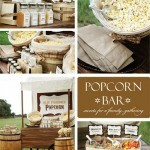 One idea I love is to create a “popcorn bar” for your guests to munch on. Make your popcorn sweet, salty, cheesy, chocolaty, or any other flavor you can think of. Create the Trail Mix of popcorns, adding nuts, raisins, and chocolate pieces. My personal favorite is peanut butter and chocolate drizzled over freshly popped popcorn! Talk about a combination I can’t get enough of; popcorn and Reeses Peanut Butter Cups, my two favorites! Those with a simple sweet tooth will love getting their hands on some kettle corn and for those who want something a little less sweet, fill salt shakers with other popcorn add-ons! Salt, pepper, white cheddar cheese, or even apple cinnamon spices, are great toppings to give everyone what they want! Talk to one of our consultants about renting one our popcorn machines, to pop your way to the perfect movie night! Let your guests quench their thirst with their favorite beverages such as soft drinks and lemonade served in our glass beverage dispensers. I think movies automatically make your sweet tooth tingle, however if you were looking to take the healthier route, try this alternative I came across on Pinterest! 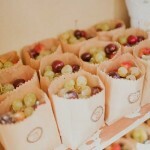 Fill your standard popcorn boxes with healthy treats like grapes, berries, and carrot sticks. And if you want a classier feel at your movie night, try serving cheese and crackers and a variety of wine samples to your guests! One luxury that you have hosting your movie night at your home is comfort. Since the typical flick is usually almost two hours long (sometimes more!) why wouldn’t you want to be comfortable? 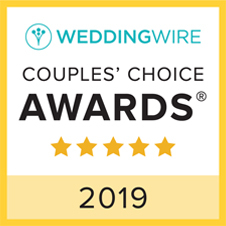 Suggest to your guests to bring their favorite pillow and blanket or even wear their favorite pajamas!